•Learn how the Cricut Maker can improve your applique without clunky, expensive dies, and can give you beautiful and intricate cuts every time with the patented rotary blade. 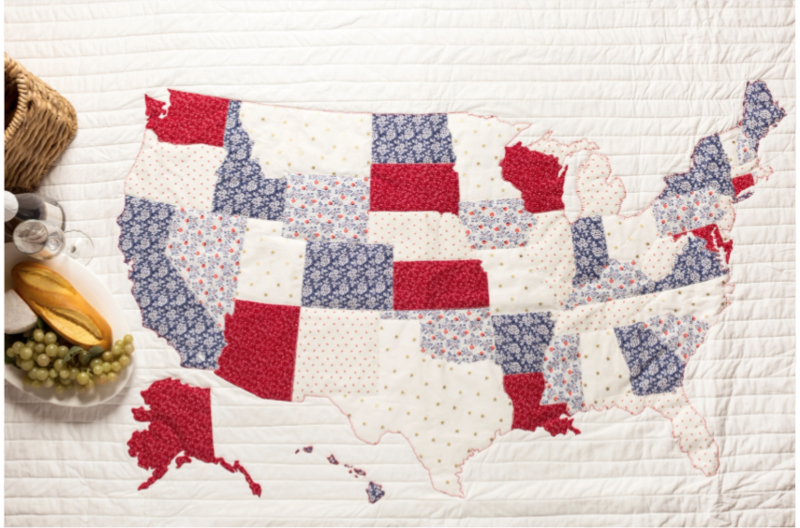 •In this 3 hour class we will use the Cricut Easy Press to prepare the fabric and cut out all 50 states in 5 fabric patterns. This project will be completed in class.